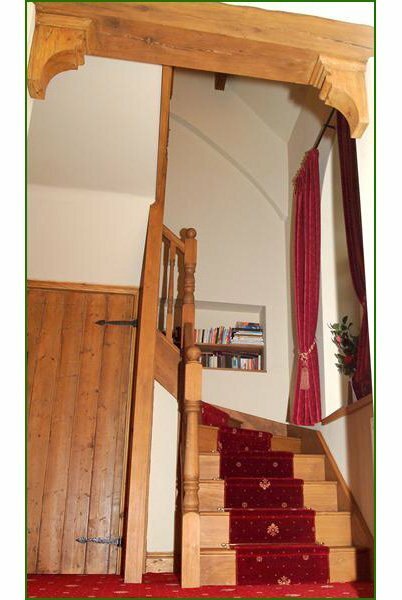 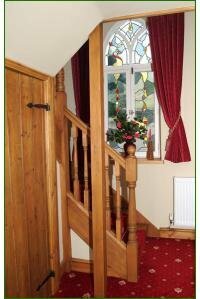 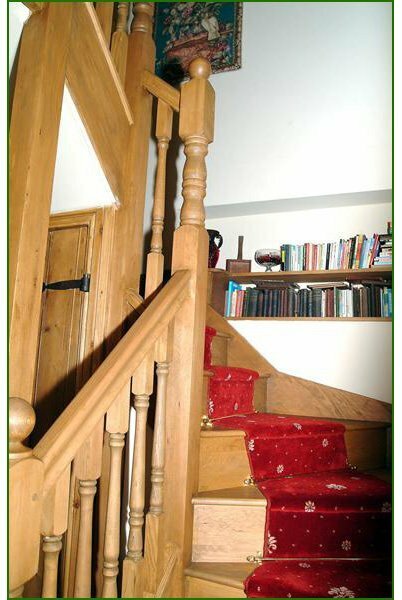 A striking hemlock closed staircase chosen for use in a converted chapel. 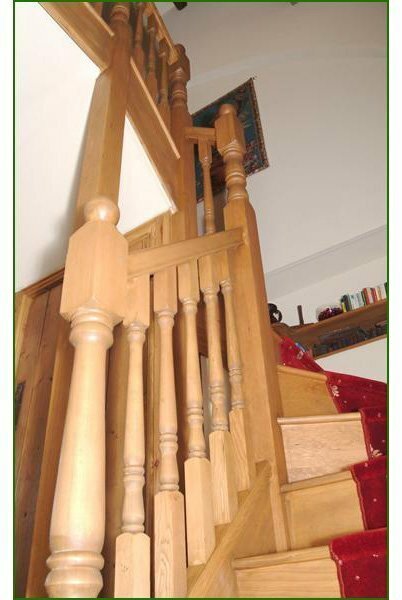 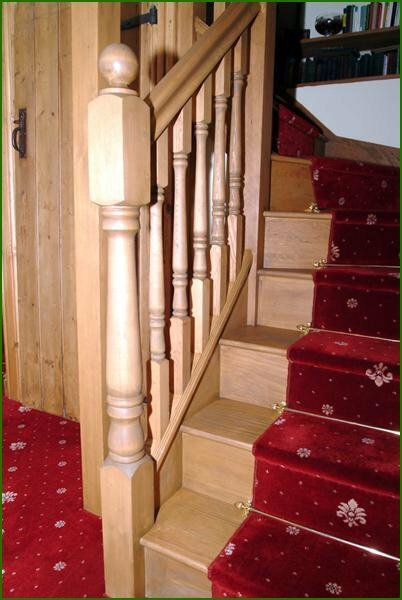 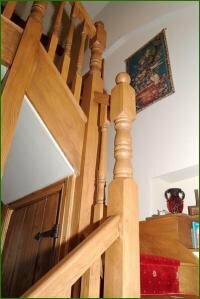 The centre carpet that runs down the staircase is made even more attractive by the brass stair rods . 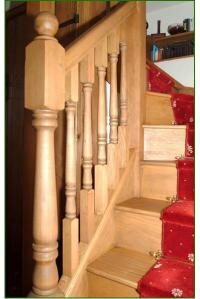 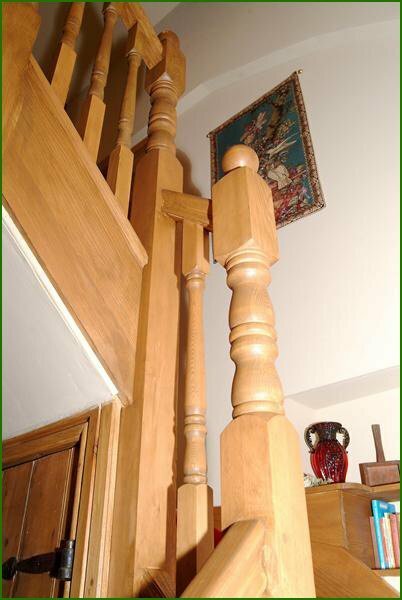 Turned newels and spindles ensure that the client is able to keep the image of the original building.